Michael O’Reilly is retired Vice Chairman and Chief Financial Officer of The Chubb Corporation, former Chairman of the Board of Alterra Capital Holdings, Ltd. and remains actively involved in the financial and insurance business. He is a director of Markel Corporation and Financial Analyst Fellow. Mike is Trustee Emeritus of Pace University and President of the Lake George Land Conservancy. He holds a BS degree from New York University’s Stern School of Business and an MBA from Pace University. In addition to serving as HBOIF’s Chair, Mr. O’Reilly is also on the Finance, Governance, Grants and Nominating Committees. Mike Toner is a retired executive Vice President of General Dynamics. He was responsible for the Marine Systems group, which includes Bath Iron Works, Electric Boat, NASSCO and AMSEA from 2003 until his retirement in December 2008. He had been a Vice President of General Dynamics since January 2000 and President of Electric Boat from January 2000 to October 2003. He spent his entire career (43+ years) in shipbuilding. In addition to serving as HBOIF's Vice Chair, Toner is the Chair of the Grants Committee and is a member of the Finance Committee and the Governance Committee. Marjorie Raines is a resident of Coral Gables. A Chartered Financial Analyst, Raines previously served as Executive Vice President & Chief Investment Officer-International of the Chubb Corporation. Marjorie has served or serves on the board of directors of the Navigators Group, Inc., Trident Investment Management for The Vardana Fund, and Healthpoint Capital and also serves on the Advisory Council Member for the Castleman Disease Collaborative Network. She currently has her own investment and financial consulting practice. In addition to serving as Treasurer, Raines also serves as Chair of the Finance Committee and is a member of the Governance Committee. Michael J. 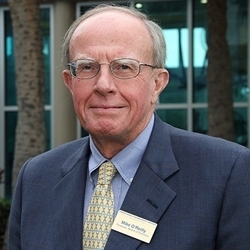 Brown, Sr., a resident of Fort Pierce, served as Chairman and Chief Executive Officer of HCBF since 2010, as well as the Chairman and Chief Executive Officer of Harbor Community Bank since 2011. From 1976 until its sale to National City Corporation in 2006, Mr. Brown served as President, CEO of Harbor Federal Savings and Loan Association ("Harbor Federal"). He joined Harbor Federal in 1974 after having served as Senior Vice President and Chief Financial Officer for University Federal Savings and Loan Association in Coral Gables, Florida since 1972. 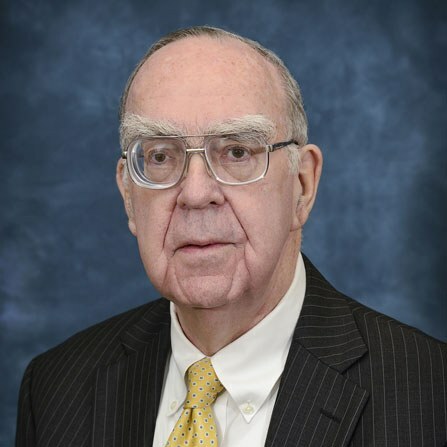 Mr. Brown began his banking career with Prudential Savings and Loan in Clayton, Missouri in 1964, including serving as its Chief Financial Officer. Mr. Brown received a bachelor's degree in finance from St. Louis University in 1962. 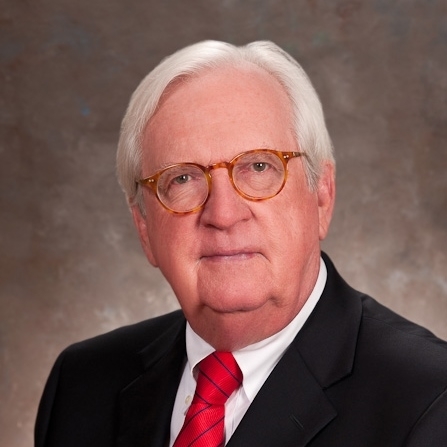 He has served on numerous community, state and national organizations, including serving as Director of America's Community Bankers, Director of the Florida Bankers Association and member of the Advisory Board of the Federal Home Mortgage Corporation. Mr. Brown also completed a two-year appointment on the Thrift Institutions Advisory Council to the Federal Reserve Board of Governors. Additionally, Mr. Brown has served as President of the St. Lucie Chamber of Commerce, St. Lucie EDC and the Florida Savings & Loan League. He has also been a Board member and Treasurer of the Treasure Coast Hospice and Pelican Yacht Club. Brown serves on the Foundation's Audit Committee and the Grants Committee. Amos Bussmann’s father, Charles Bussmann, was an original Harbor Branch enthusiast and board member. Amos is now publisher with Compass Publications which his father founded and which publishes Sea Technology Magazine. Sea Technology is the worldwide information leader for marine business, science and engineering. Bussmann serves on the Audit Committee and Grants Committee. Since 2001, Dr. Joseph Ferro has served as the Worldwide Corporate Medical Director for Johnson & Johnson overseeing integrated primary care services in conjunction with Johnson & Johnson's occupational health services in developing countries. In this role, Dr. Ferro ran a world class executive and employee health program and managed global travel health, emerging health issues, and pilots innovative medical programs with business partners. As a seasoned physician executive with experience on all aspects of occupational medicine and employee health, Dr. Ferro has had extensive international experience including the development of Johnson & Johnson's occupational health programs in Asia, South America, and Europe. In addition, he has developed medical surveillance for oncologicals utilized by the Chinese government as well as provided early training in ergonomics in China and India. 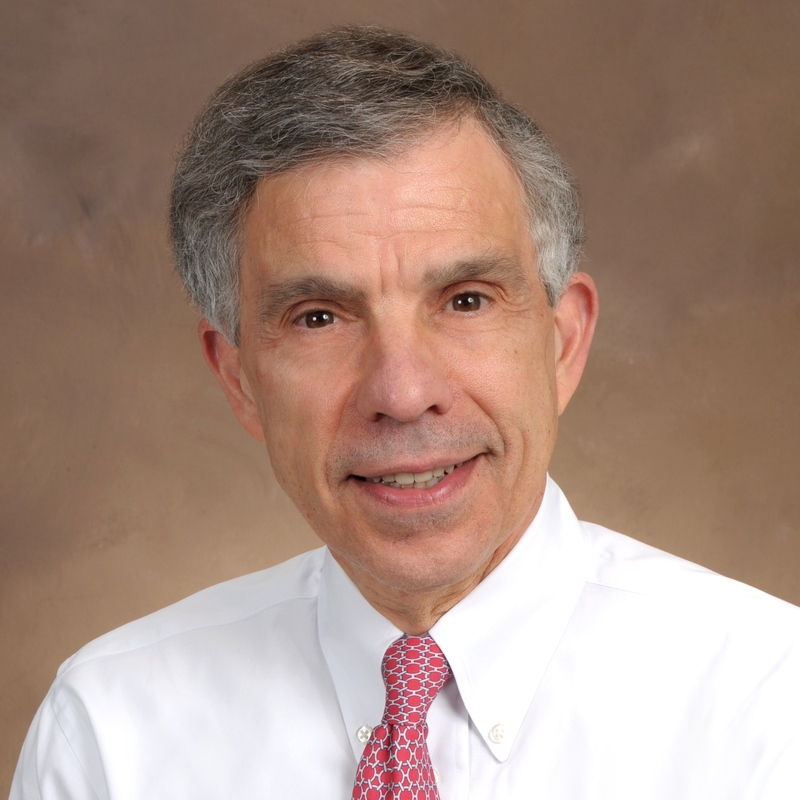 Previous to his time with Johnson & Johnson, Dr. Ferro served as Senior Medical Director for Bristol-Meyers Squibb. Dr. Ferro is currently on the Board of Directors of the Frances E. Parker Memorial Home, serving as the Chair of its Governance Committee. He is Board Certified in Internal Medicine and received his MD from the University of Medicine and Dentistry of New Jersey, New Jersey Medical School. His undergraduate degree was from New York University. 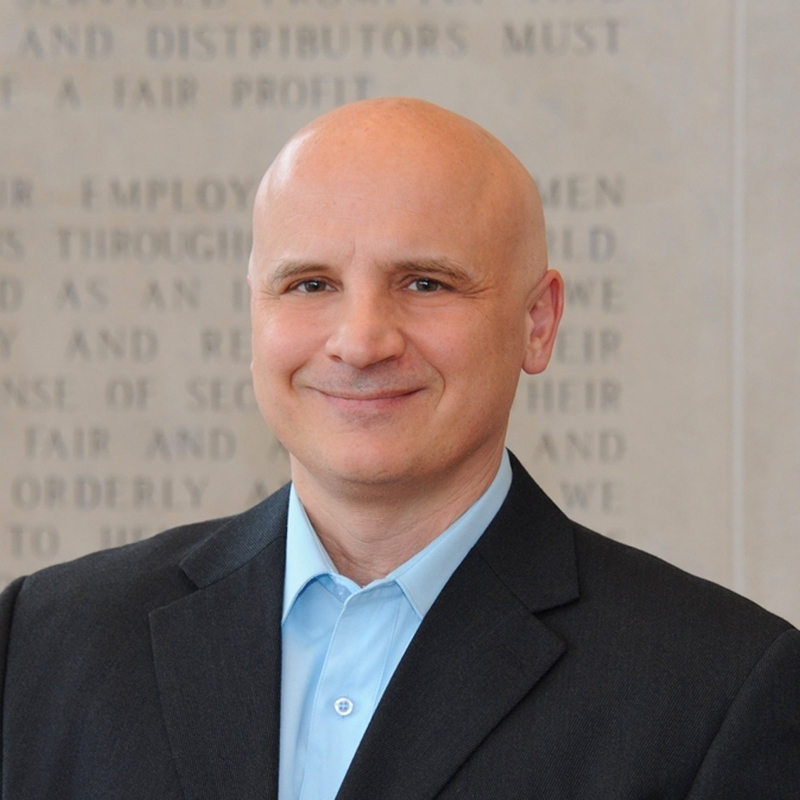 Ferro serves as Chair of the Nominating Committee and as a member of the Grants Committee. John Papa recently retired from the corporate headquarters of Johnson & Johnson where he had held several positions since 1978. He joined the Corporate Treasury function in 1984 and in 1993 was elected Assistant Treasurer for domestic treasury operations and assumed responsibility for cash management, capital markets, interest rate/foreign exchange exposure, and mergers/acquisitions in 1995 and held positions of increasing responsibility until his appointment as Treasurer in 1997. As Treasurer of Johnson & Johnson, John's responsibilities included all activities related to capital structure/allocation including credit agency relationships, investment of DB/DC assets ($60.0B), risk management (including captive insurance entity), mergers & acquisitions, and stock/savings plan administration, and captive leasing as well as financial strategy for the organization. 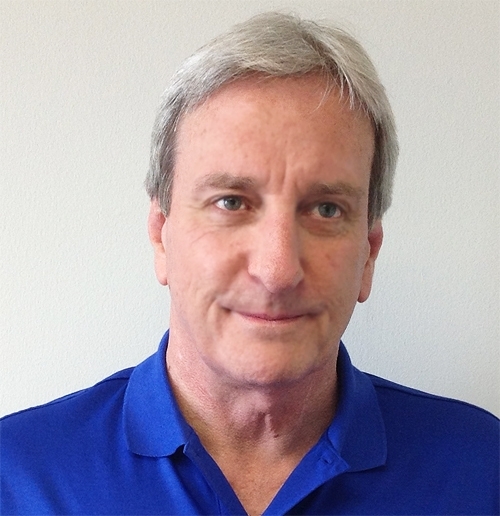 Previous to his career with Johnson & Johnson, John served in operations accounting at American Cyanamid. His volunteer activities include or have included service on the boards of the Frances E. Parker Memorial Home, the Robert Wood Johnson University Hospital, St. Peter's Hospital, the New Jersey State Chamber of Commerce, and the Somerset County New Jersey Business Partnership. He also serves on the Finance Council of the Diocese of Metuchen, NJ and on the Finance, Investment and Audit & Compliance Committees of the Robert Wood Johnson Hospital. John received his MBA from Fairleigh Dickinson University-Florham Campus and his BS from Seton Hall University. John serves as the Chair of the Foundation's Audit Committee and is a member of the Finance Committee. Bill Stewart is a practicing attorney with the firm Rossway Swan Tierney Barry Lacey & Oliver in Vero Beach, FL. His practice includes representation of nonprofit entities, real estate law, and trust and estate administration. 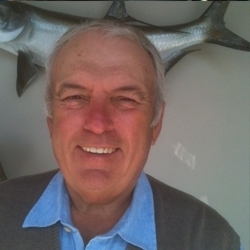 Bill is a long-standing ex-officio member of the Board at Harbor Branch and has been the Secretary of HBOI Foundation board since 2008. In the early 1970s, Bill led the legal effort to convert this private operating foundation to a tax exempt public charity and ultimately the transfer of assets to FAU. These steps facilitated public and private donations to Harbor Branch for continued oceanographic engineering and research. Today, Bill works directly with the board to manage the Harbor Branch Foundation’s endowment and grant making process. Bill serves as Chair of the Governance Committee and as such, is a representative to the Nominating Committee. In addition to his service to Harbor Branch, Bill is or has served the Visiting Nurse Association & Hospice Foundation, the Environmental Learning Center, and the Indian River Real Property Council. He was a member of the board of the Indian River County Library, worked with his partner, Rebecca Emmons, to create the United Way Foundation of Indian River County (his firm was nominated for the United Way Spirit of Indian River County Award for outstanding contributions to the United Way several years in a row), and the Boys and Girls Club Foundation. He launched the Riverside Racquet Tennis Complex with a family who raised funds following their son’s unfortunate death, expanded the services of the local American Cancer Society to Sebastian, and assisted in the establishment of The Mardy Fish Foundation. He has been of invaluable assistance to the Indian River Medical Center and the Indian River Medical Center Foundation. And just recently, Bill helped to structure the Float Hope Scholarship™ with Jeffrey Powers who initiated funding and an ongoing pledge to perpetuate a program through Treasure Coast Swimming allowing disadvantaged youth the opportunity to swim and participate at potentially the highest level. Bill received the Pinnacle Award in 2013 by the Indian River Estate Planning Council and the Planned Giving Council of Indian River. He also received the VNA & Hospice Foundation’s Chairman’s Award in 2016. Bill earned his AB from The College of William & Mary, and graduated from the University of Florida with a JD with Honors. He is also a Member of Order of the Coif, the honor society for United States law school graduates. Joe Duke is a member of the founding family of Harbor Branch as he is married to Seward Johnson’s daughter, Jennifer. Currently, he is the President of Off Road Holdings, based in Jacksonville. Duke is an industrial designer and entrepreneur whose business life has involved various manufacturing activities as well as a partnership in an advertising agency. He is a third-generation Floridian and resides in Ponte Vedra Beach and Hobe Sound, FL as well as Oldwick, New Jersey. 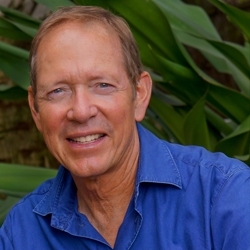 He is also a member of the board of directors of the Everglades Foundation and has been deeply involved in environmental issues for many years. Katha Kissman has spent her career managing and consulting with nonprofits. As a consultant, she served as Interim Executive Director of The Harbor Branch Oceanographic Institute Foundation, the Association for Research on Nonprofit Organizations and Voluntary Action (ARNOVA), and the National Flute Association. Previously, she served as National Director, Training and Organizational Development of Volunteers of America, Leadership America's Executive Director in 1996 and 1997 and President and CEO in 2000 and 2001. She lived in the United Arab Emirates in 1998 and 1999 where she helped found the American University of Sharjah's Continuing Education Center. Kissman also served on the founding leadership team to establish the American University of Kuwait's Continuing Education Center in 2004. In 2006, she authored BoardSource’s Taming the Troublesome Board Member and its 2009 publication, Trouble at the Top: The Nonprofit Board’s Guide to Managing the Imperfect CEO. In 2015, Kissman co-authored with Indiana University's Beth Gazley, Transformational Governance: How Boards Achieve Extraordinary Change, published by ASAE Foundation – Jossey-Bass, a Wiley imprint. She received her B.S. in Public Administration, School of Public Service at Grand Valley State University in Grand Rapids, Michigan. Effective July 1, 2014, Kissman assumed the position of President & CEO of the Harbor Branch Oceanographic Institute Foundation. After moving to Florida in 1985, Debbie Dutton worked with various real estate appraisal firms as administrative support for several years. 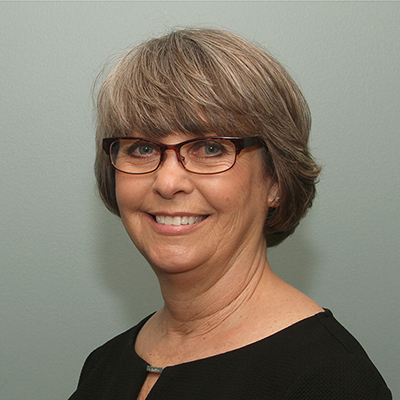 Debbie then joined the Harbor Branch Oceanographic Institute (HBOI) in 1996 as a member of the accounting team and has since remained in a non-profit research institution setting for 20 years working at Torrey Pines and VGTI. Debbie was given the opportunity to join the Harbor Branch Foundation as Director of Operations in May 2016. 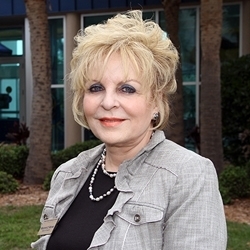 She brings an extensive background in administration for the Foundation in its mission to support FAU. Cyndi Permenter comes to HBOI Foundation, extending her Midwest roots into the field of philanthropy. She has a diverse background with experience in social services, banking, construction, and theatrical and special events. Cyndi arrived in Florida in 2005, and focused primarily on raising her two sons. After re-entering the workforce, she held positions as a personal banker at Wells Fargo, project manager at Conco Concrete Construction, and Technical Director for the live event production company, Peak Technology Group. 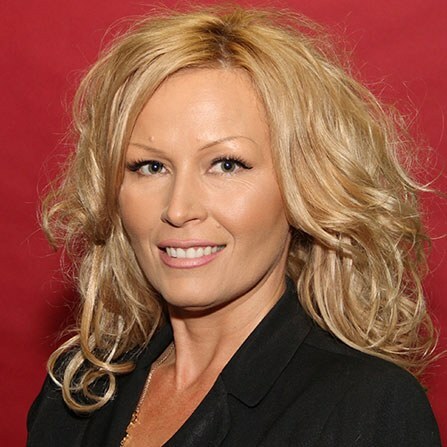 Cyndi brings a fresh outlook to the HBOI Foundation and looks forward to contributing to the growth and ongoing success of the organization’s mission.